When it comes to shoe repair, not all glues are created equal. You can’t just grab a tube of Elmer’s or Super Glue out of your utility closet and hope that it will do an effective job of repairing your favorite shoe. While these options might hold of for a few days or a week, these repairs certainly won’t last over the long term and you’ll soon be back in the same boat. If you want your repair to last and your shoes to perform, you need to use a product that was designed for this type of task. 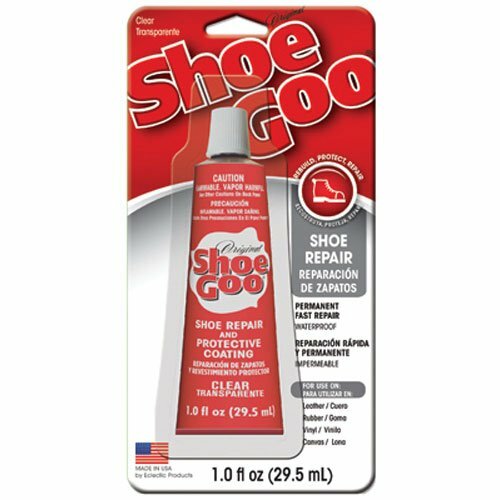 Of all those shoe repair products on the market, there are none better than Shoe Goo. 6 Why Does It Matter? Whenever you are up and about, your shoes are responding to your movements. They are flexing to absorb impact, bending with each step and getting stressed with every landing, stop or pivot. Most regular glues that you keep around the home (Super Glue, Gorilla Glue, etc.) dry hard. They will bond your sole to your upper, but eventually that stiff, rigid bond will crack and break causing your repair to fail. Shoe goo is designed to create an incredible bond that stays pliable once set. This means that your bond will bend, flex and move along with the movements of your shoe without the repair being compromised. This is a critical aspect of a successful shoe repair and Shoe Goo’s formula creates the perfect environment for a successful sole repair. Many glues are designed to bond very specific materials, and they manage to do so very well. There are glues for paper, for wood, for plastic and for ceramics that all work astoundingly well for those materials, but the bond they create doesn’t translate very well (if at all) when these adhesives are used on other materials. Even multi-purpose adhesives like Super Glue don’t work well on all surfaces. If you try to use Super Glue or Gorilla Glue on leather, they will sink into the material causing it to become dry and crack causing additional, unnecessary damage to your shoes. 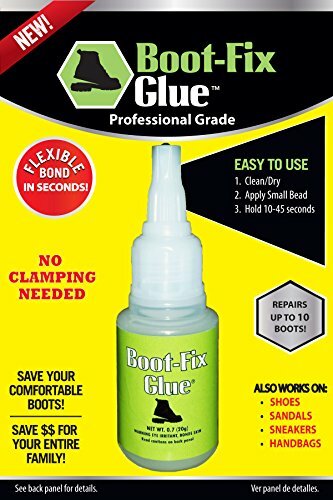 Shoe Goo makes repair glue that is crafted to work on rubber, leather, fabric and synthetic materials so you can repair just about any athletic shoe, work shoe or boot. Shoe Goo also comes in a variety of colors so you can match the color of your sole or upper and make the necessary repairs as inconspicuous as possible. Holes, tears and cracks in your soles and uppers can make for an uncomfortable workout or walk in a number of ways. Not the least of which is allowing water or moisture to seep through from above and/or below. When you use Shoe Goo to repair a loose sole you get a waterproof seal that keeps your feet as dry as possible during wet or muddy runs or walks. You can get a nearly four ounce tube of Shoe Goo, enough to make a couple major repairs or a multitude of smaller repairs, for right around eight dollars. If you are going the route of repair over replace, you want the repair to make sense economically. A shoe repaired with Shoe Goo could last for several additional months, but you still don’t want to shell out a tremendous amount of money to make your repairs. With such an affordable price tag, Shoe Goo fits into any budget and allows you to get a whole lot more use out of a favorite shoe that seemed destined for the trash heap. Shoe Goo is the best product on the market, but it isn’t the only product out there that gets results for folks who need to re-attach or repair a hole in their sole. Below we’ll talk about a few alternative options and their pros and cons. Shoe Goo is the first name in DIY shoe repair, Boot-Fix is the second – and for good reason. Boot-Fix has many of the same features as our winner – it creates a powerful, flexible bond, it is waterproof and it dries quickly so you can get back to moving again quickly instead of waiting. The only possible downsides when compared to our winner are available colors and the price tag. Shoe Goo gives you more options for matching your favorite shoe with a high quality adhesive that will blend in well, and while Boot-Fix isn’t outlandishly expensive considering the cost of a new pair of shoes, a .7 ounce tube costs more than a movie. This means that you can perform far more repairs with a tube of Shoe Goo than you could hope to with a tube of Boot-Fix. Freesole is a urethane based adhesive that works well to bond rubber, vinyl, and synthetics. It dries quickly and remains pliable so sole repairs should hold up over time. 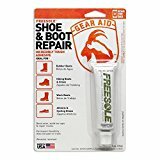 The issues with Freesole are the very same issues that you get with Boot-Fix, it’s a quality product, but there is no variety or value compared to Shoe Goo. A one ounce tube of Freesole is nearly the same price as a four ounce tube of Shoe Goo, so you’ll get far fewer repairs with this product than you will with our top option. It can take a monumental effort to find the absolute perfect shoe for your chosen sport or activity. And, once you do manage to find that magic piece of footwear, it can feel like an eternity to get it broken in to the point where you are functioning at the highest level. 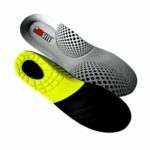 With all the work that goes into getting your feet into the right shoe, it can be pretty disheartening when you start to see a hole or tear forming or you are getting to the point of excessive wear. What can make this scenario even worse is that major shoe companies are always revamping, upgrading and changing their shoe shoes with the latest “technology” or to keep up with trends. This leaves you no guarantee that the new incarnation of your favorite kick will feel or perform at all like the one you’ve grown to love. 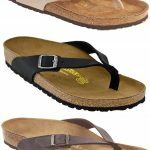 Fortunately, there are some steps that you can take to keep your shoes in good, working condition – even if the mileage has built up to a level that may be well beyond typical life expectancy. If your shoes are developing holes in the sole or if the sole is beginning to pull away from the upper, you can take steps to make your shoes as close to new as possible – if you’ve got the right tool for the job. 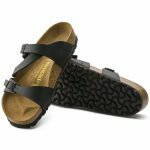 The good news for those who have an ailing pair of favorite athletic shoes is that you can most certainly add some life to them. 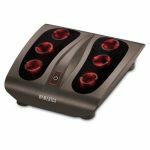 In fact there are a handful of products out there that are specifically designed with shoe and sole repair in mind and they are all very effective. If you are looking for the absolute best solution for fixing up your kicks, Shoe Goo delivers in terms of quality, ease of use, versatility, performance and price – there is simply no better product on the market. As long as you follow the direction closely (make sure your sole and upper aren’t greasy, grimy or dirty prior to your attempt to fix) and you have the right product for the purpose – Shoe Goo will most certainly help keep your shoes fully functional for a longer period of time. If you are in a rush or having a shoe emergency and your favorite department store only offer’s Boot-Fix or Freesole as opposed to our top pick – buy them and make your repairs. Just know that while using these products will most likely result in a quality, lasting repair that you’ll just be paying more than you need to in order to execute your repair. 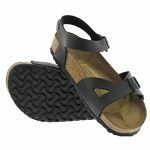 If all you have access to is Super Glue, Liquid Nail or rubber cement – you are better off putting your favorite shoes on the shelf for a few days until you can get your hands on a product that is made for shoe repair. These types of products may work for an hour or a day, but they definitely won’t stand up over the long term and may even make your original problem worse once the repair finally fails.